I'm generally not much for the summer season, but one sensation I do love is getting home from work on a painfully hot day, having just purchased a six-pack of beer, and cracking open a cold one in the evening. The only thing that occasionally gets in the way of that is when I lift the bottle to my mouth and then immediately realize that instead of beer, I bought salsa. Wait, that doesn't ever happen. And, yet, according to a lawsuit brought by Cigar City Brewing against Cigar City Smoked Salsa, customer confusion appears to be a chief concern. 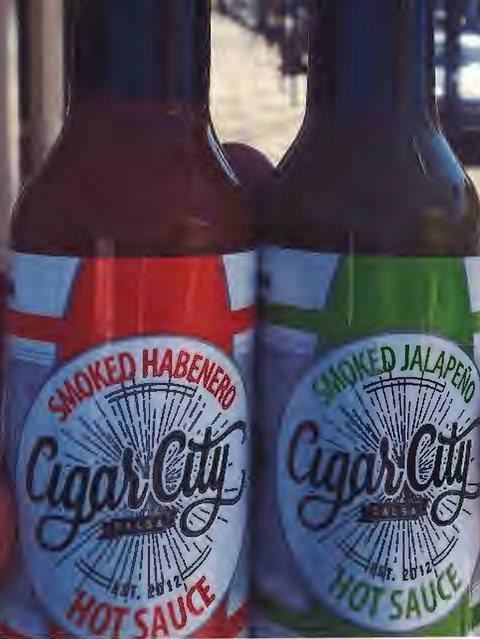 Cigar City Brewing is suing Cigar City Smoked Salsa for trademark infringement, alleging that the labels and marks used by the salsa maker are so similar to the brewery’s material that consumers may think both products come from the same company. Fine, so the suit doesn't so much allege that customers are going to confuse salsa and beer, but rather that the same company might be making both of them. The filing itself claims that there have been instances of actual confusion with the public and purchasing agents for stores that thought both products were made by the same company. That, frankly, is difficult to believe. It's all the more difficult to believe that this occurs on a large scale, for multiple reasons. To start, Cigar City is a common moniker for Tampa, Florida. It's a nod to the large Cuban population there. As such, there are all manner of businesses that incorporate the nickname into their business names. Types of businesses include gyms, music management, cattle farming, comedy clubs, and so on. It's not a terribly good identifier of source for that geographic area, in other words. To get around this, the filing goes to some lengths to try to suggest that beer and salsa are in fact in the same markets by virtue both that the items are sold in the same stores and, incredibly, that the public sometimes likes to have a beer and eat chips at the same time. Plaintiff’s beers and Defendant’s salsa are sold in the same channels of trade, including grocery stores, and liquor stores. For example, both parties’ products are sold in Publix Supermarkets, Walmart stores and ABC liquor stores, among others (Exhibits 13, 14, 15 and 16). Beer and salsa, typically with snack chips, or with salsa on or in entrees, are frequently consumed together by the same persons and are thus purchased by the same types of consumers. Except that isn't how markets are defined in trademark law. Instead, belligerents must be in direct competition with each other in their products for the markets to be a match, and salsa is not beer. They are closer in terms of the marketplace than, say, Cigar City Crossfit, but I imagine that beef sourced form Cigar City Cattle Company may well be sold in those same stores, yet there is not trademark action against them. So far, in summary, we have a common nickname used by two businesses in disparate industries. Now, the filing goes on to note that Cigar City Brewing is opposing the trademark registration for Cigar City Smoked Salsa, but that this opposition is pending. So this suit was filed before the USPTO has even had a chance to weigh in on the matter, which seems like a mistake. If nothing else, the ruling on the opposition would provide Cigar City Brewing with either more ammunition for its lawsuit, or, if defeated, an indication that it probably shouldn't file the suit to begin with. And the outcome of that opposition isn't exactly an assured slam dunk for Cigar City Brewing, as its own Exhibits in this lawsuit comparing the trade dress are of questionable use. First is the labels on the salsa that Cigar City Brewing repeatedly objects to as infringing and confusing. 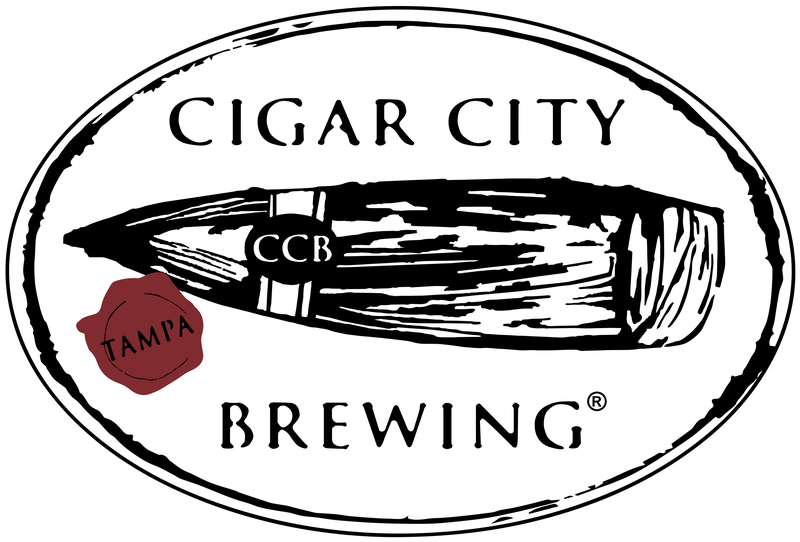 And here is Cigar City Brewing's own logo. For what it's worth, they have several iterations of this and I chose the one most favorable to Cigar City Brewing's position. I'm certain the brewery is trying to make a point complaining about the two logos, although what that point could possibly be is beyond me. Beyond both being black and white images, little else about the two logos has anything to do with the other. Frankly, the filing is full of exhibits like this, pretty much all of which offer nothing more compelling than this side by side comparison. I just cannot believe anyone in the grocery or liquor business is seriously confused by any of this. So, a common nickname used in different industries with trade dress that isn't similar while a trademark opposition is currently in process. Why in the world was this thing ever even filed? Another day, another dose of Stupidicus Idioticus Trademarkus. An all too common complaint by companies feeling threatened. I am a resident of the Tampa Bay area, so I'm very familiar with the Cigar City moniker. However, in terms of popularity, Cigar City Brewing is probably the most well known, even in the broader Tampa Bay metropolitan area, well outside of Ybor City and the rich Cuban community. I will admit, the first time I saw Cigar City Salsa in the store, I was curious as to whether it was the same company, since I really wasn't familiar with either one's labeling. But in the end, the company itself or it's reputation didn't inform my decision on whether or not to buy. I just prefer other beers and salsas. Now I probably won't buy the beer just on principle. As a non-resident of the area, and sight-unseen of the branding, I was wondering what Tim was on about. Stripped of branding (as on an order form a store's buyer might be filling out) a person might easily think they come from the same company. I had never heard of the Cigar City nickname for Tampa. I'm willing to bet most Tampa residents have also never heard the Panther City nickname for Fort Worth. As a non-resident of the area, and sight-unseen of the branding, I was wondering what Tim was on about. Stripped of branding (as on an order form a store's buyer might be filling out) a person might easily think they come from the same company. I agree! In addition, as a non-resident of the USA, a person might easily think that American Airlines is owned by the United States of America. Same thing for United Airlines. Therefore, the United States of America should immediately change it's name so that idiots in a hurry aren't confused when filling out forms. One can only assume that American Airlines, American Apparel, the American Broadcasting Company and American Express are the same company. Sounds like someone has a great lawsuit on their hands! By which I mean Cigar City Brewing should be suing their representation for allowing them to file this lawsuit in the first place. Its obviously a failure of duty and probably an ethics violation as well to file suits you know your client cannot win... unless of course they advised that, in which case maybe its still an ethics violation to take money from the mentally incompetent. "Why in the world was this thing ever even filed?" Re: "Why in the world was this thing ever even filed?" All the way from Chicago to Tampa, with a limited understanding of trademark law, is just looking for billable hours? Could that be possible in this enlightened world? "Why was this ever filed?" ... Hmm. Maybe it's the "Cigar City" text. I can't help thinking that's kinda sorta like close. And you've already got a person stating confusion. I know why YOU aren't (any longer) confused, Geigner: you tried guzzling salsa, and were VERY disappointed. Yet again your "trademark", an alcohol-fueled piece involving alcoholic product, even off-topic intro on the delights of alcohol. Re: "Why was this ever filed?" ... Hmm. Maybe it's the "Cigar City" text. I can't help thinking that's kinda sorta like close. Pssh, yeah, because alcohol is great, brah. Re: Re: "Why was this ever filed?" ... Hmm. Maybe it's the "Cigar City" text. I can't help thinking that's kinda sorta like close. Yeah, I can't tell you how many times I've confused a bottle of hot sauce with a bottle of beer, only to later wonder why the only buzz I was getting was in my digestive tract. Look, they even put the hot sauce in a bottle with a similar shape! Re: Re: Re: "Why was this ever filed?" ... Hmm. Maybe it's the "Cigar City" text. I can't help thinking that's kinda sorta like close. It really pisses me off when they put that little plastic reducer on top of my beer bottle. This is what happens when you have a plague of locusts...I mean lawyers, they strip every bodies wallets bare. Lawyers are just like other people. Some are bad, but most are good. I've learned to be wary of those who demonize lawyers. Often its CEOs and politicians. They want the "little people" to think ill of lawyers, because the law - as imperfect as it is - is the only equalizer left. It's being eroded rapidly, and demonizing lawyers helps that process. JUST KIDDING! I once had to calm my lawyer down when he panicked after he stepped in cow manure and thought he was melting. I'm beginning to think that all these brewery lawsuits are what happens when lawyers get drunk on their prospective clients' product. Heyyy, leth go thue thomebody. I'm going to sue both of them for false advertising. Neither one of those things is a cigar.